How much time did you spend in college as a new student trying to figure out where you belong? Don’t you wish you had a roadmap to guide you through those first few months? inUGA is an app designed to give students a personalized tour of their campus that introduces them to places, clubs and local events that will best fit their interests. Our app will help students turn their new school into their new home in no time. inUGA is an app that allows new students to interact with their campus in a fun narrative format that is relatable to their real college experience. 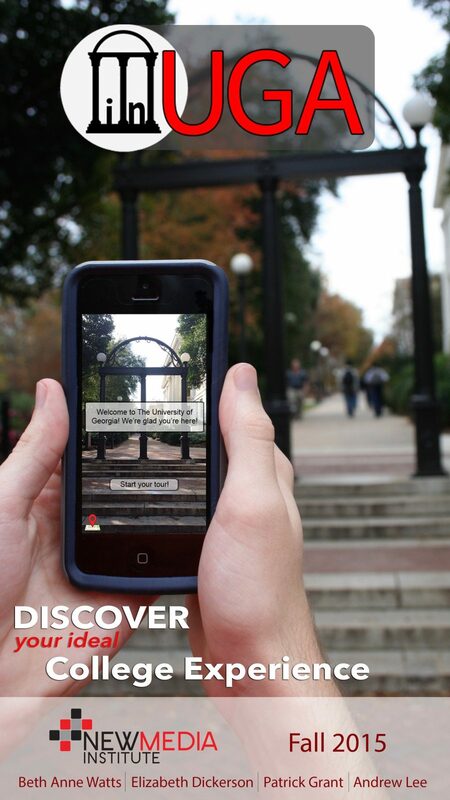 The student goes through a storyline on UGA’s campus that highlights the major buildings and landmarks that most students visit. Based on the student’s decisions within the narrative, the app collects data about the student’s interests and personality. At the end of the narrative, the app uses this information to present the student with a list of places, events and activities in Athens that will best fit their interests.